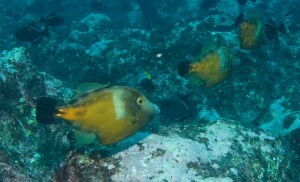 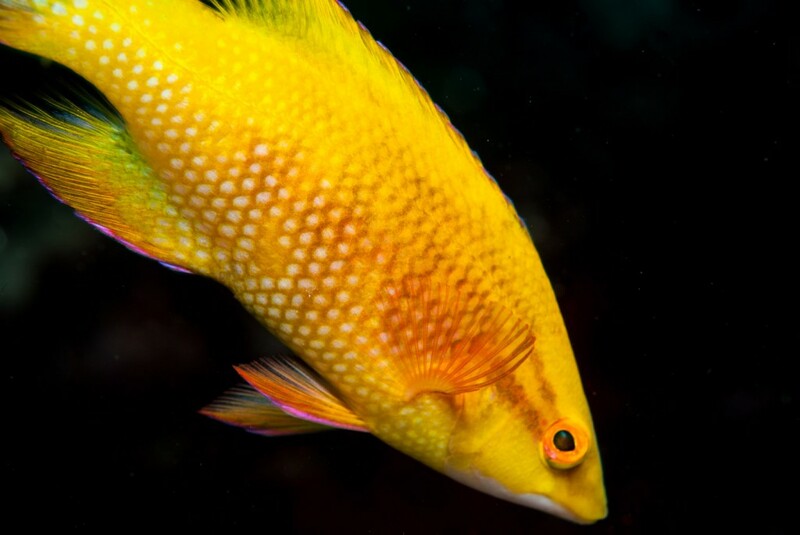 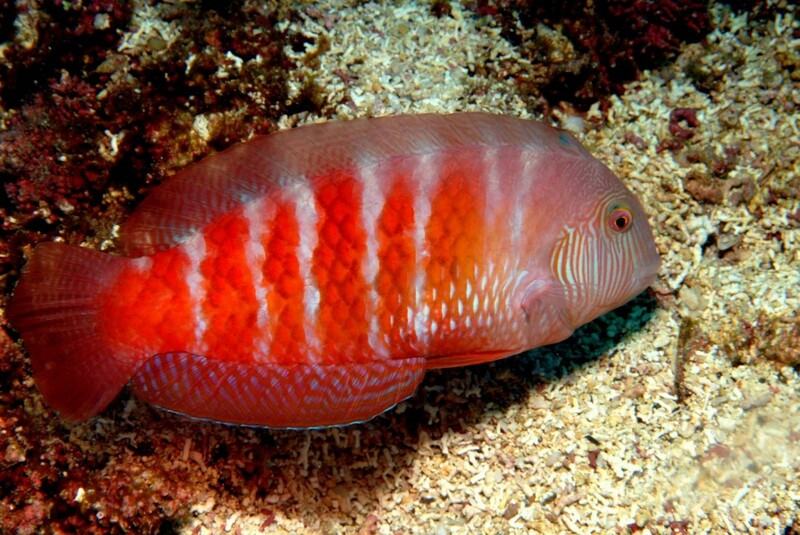 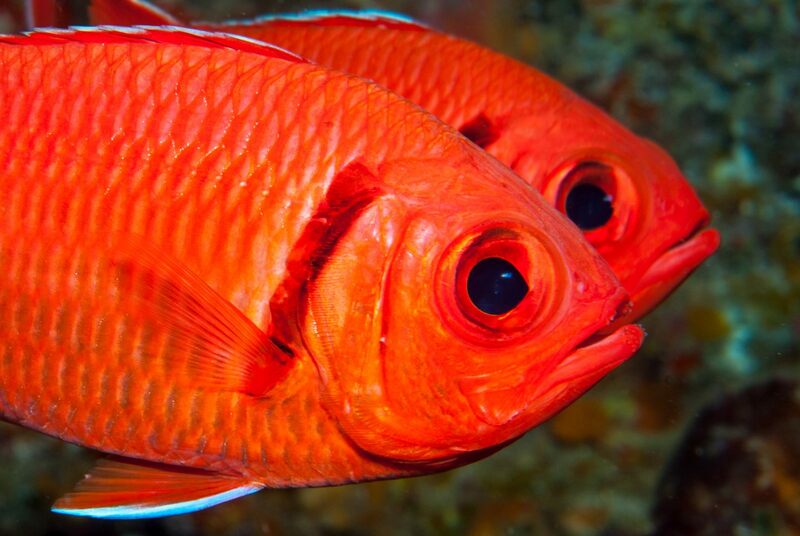 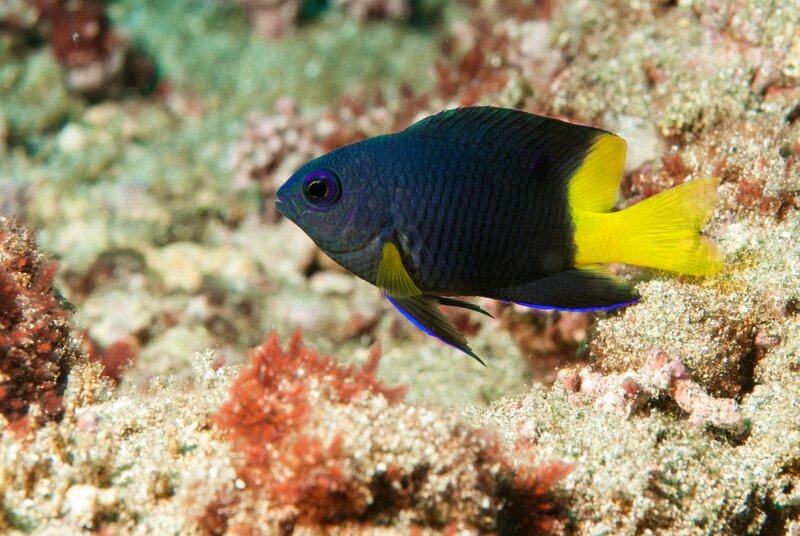 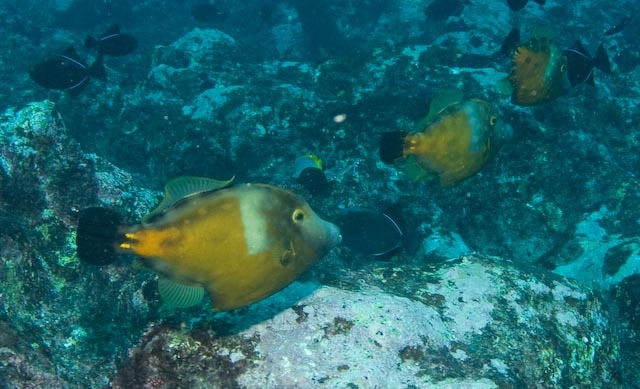 Most us that have dived in tropical seas have seen parrot fishes. 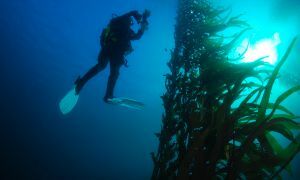 You might have heard them crunching and munching corals before you see them, they are amongst the most common fish in coral reefs all over the World. 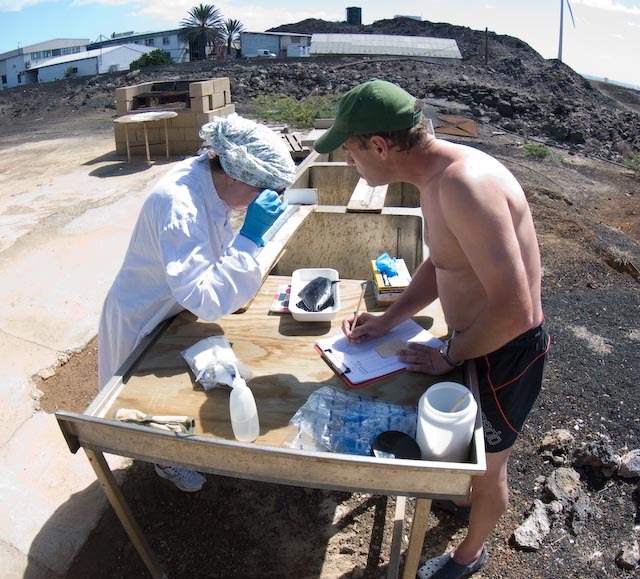 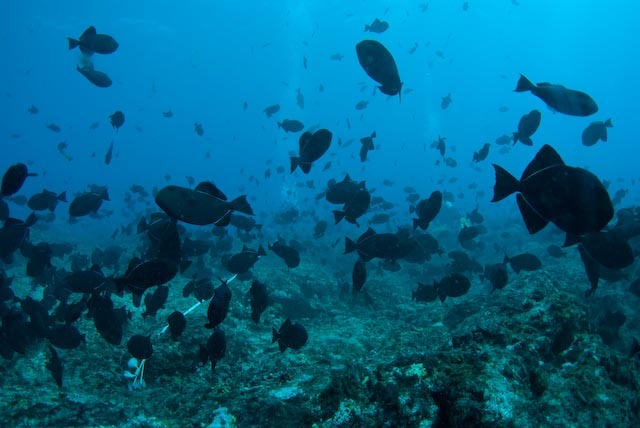 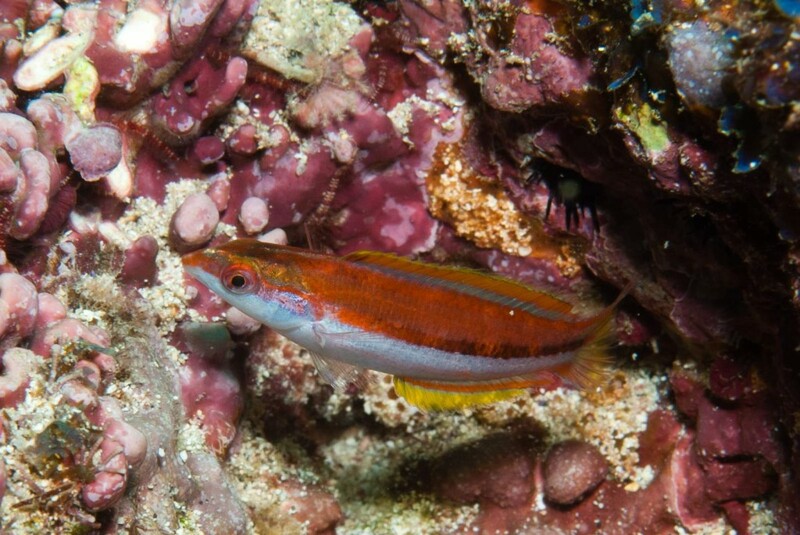 But not only coral reefs… some species in the genus Sparisoma managed to cross huge oceanic spaces and settled around the small oceanic islands of the Mid-Atlantic ridge, like the Azores. 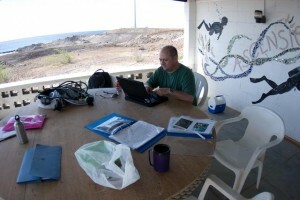 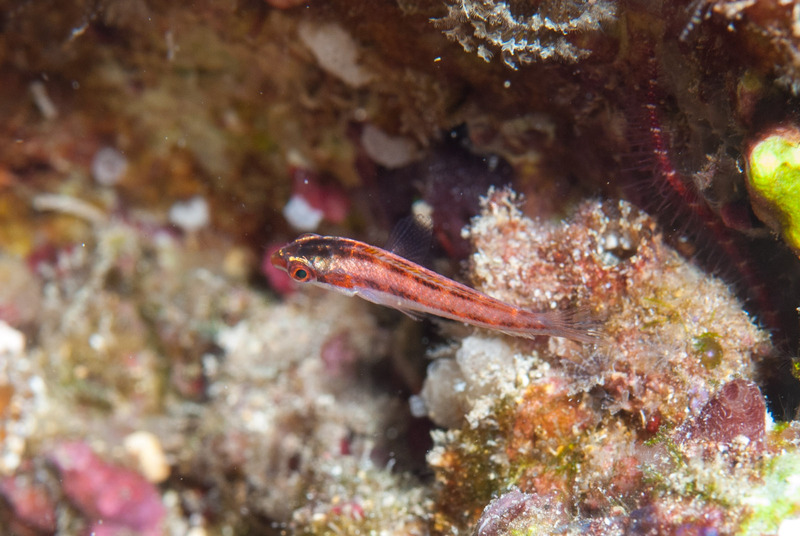 One of them, Sparisoma strigatum, is known to be endemic to Ascension and St. Helena. 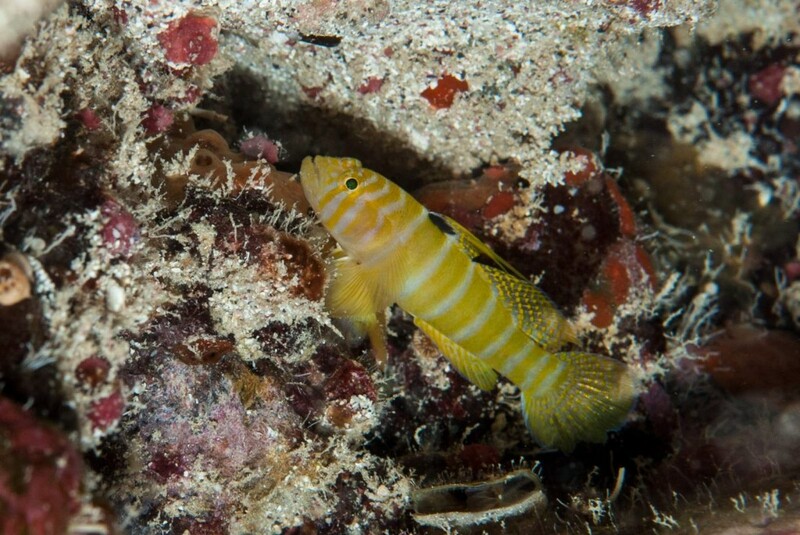 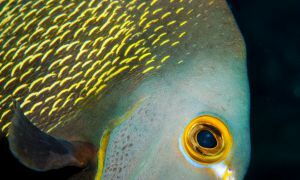 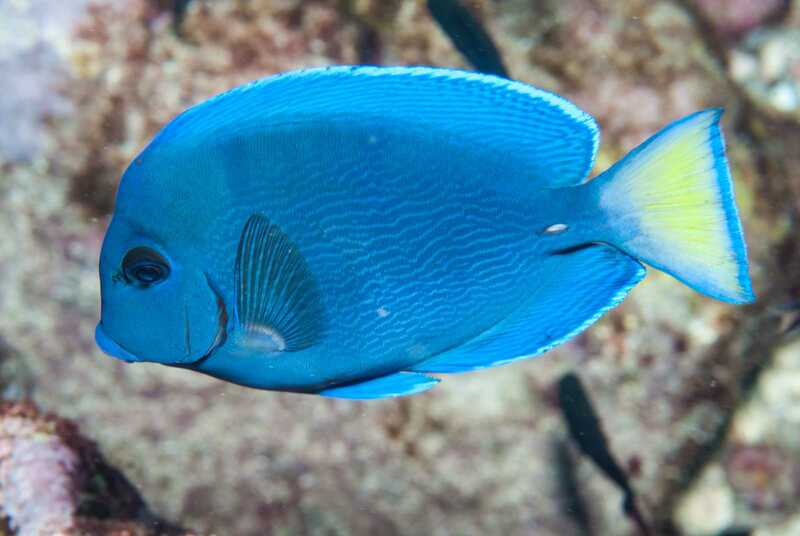 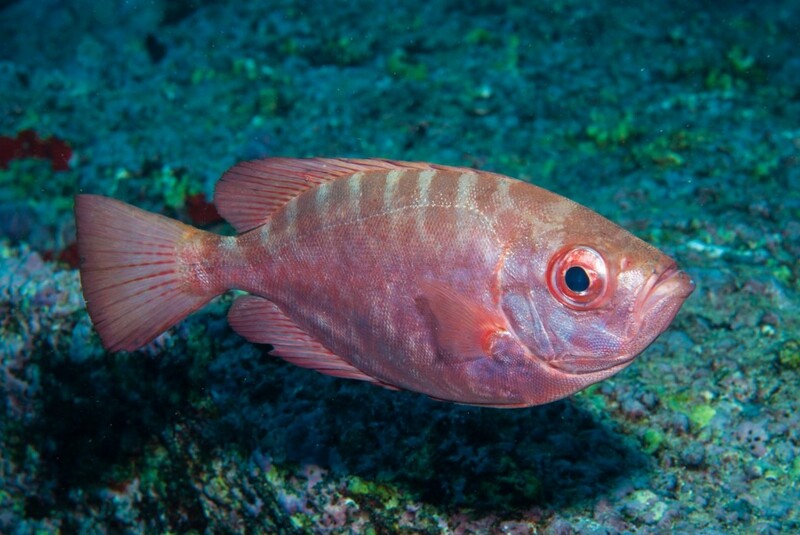 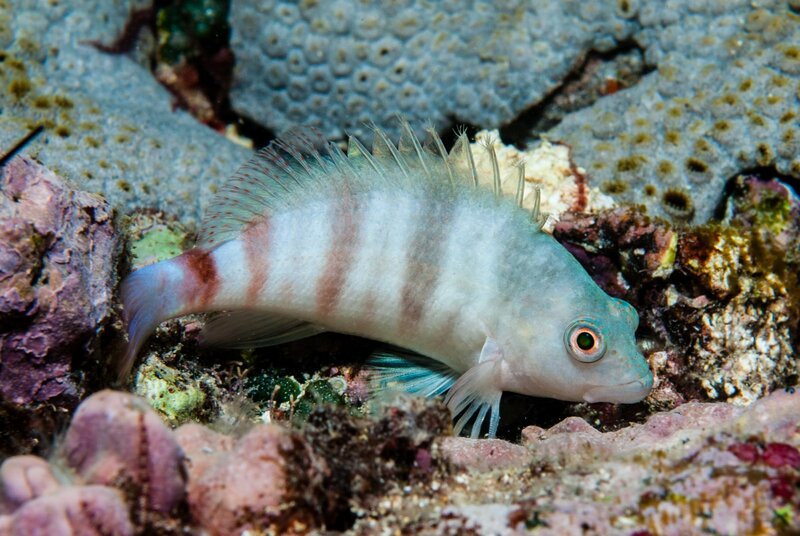 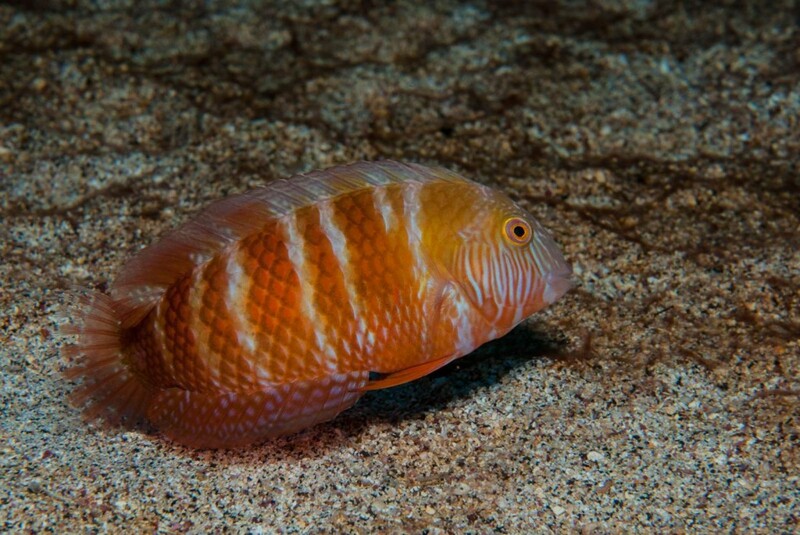 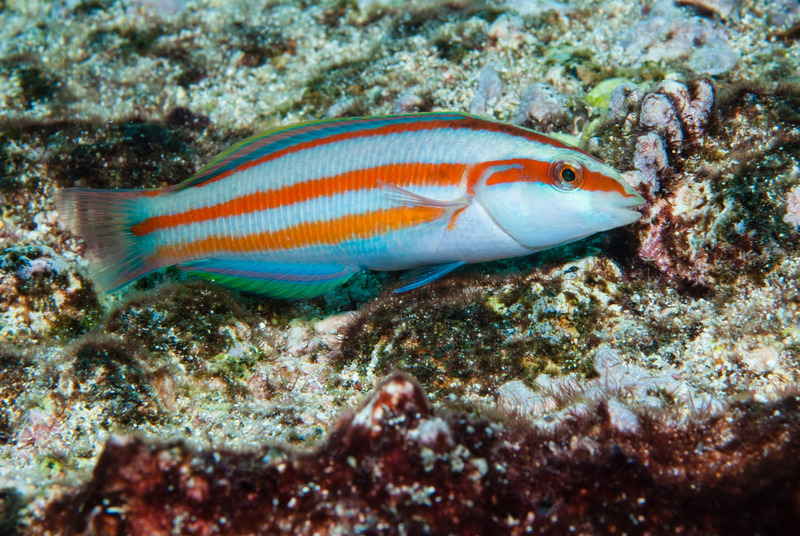 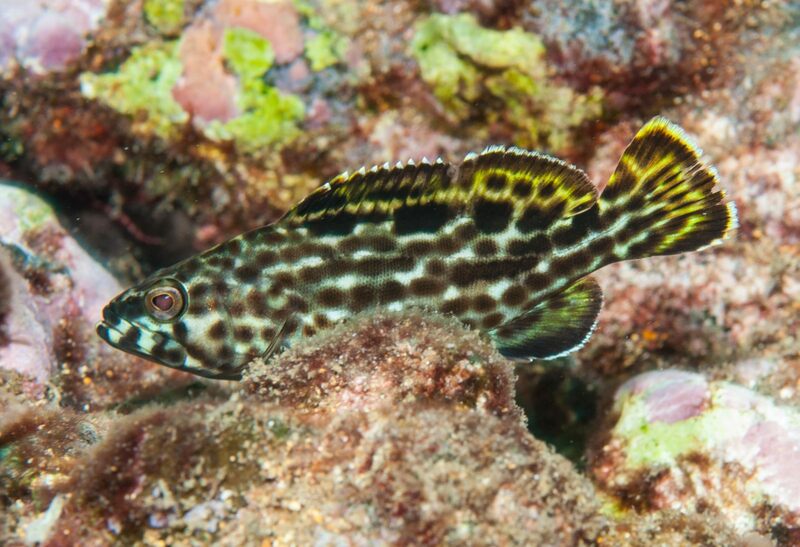 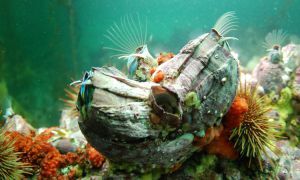 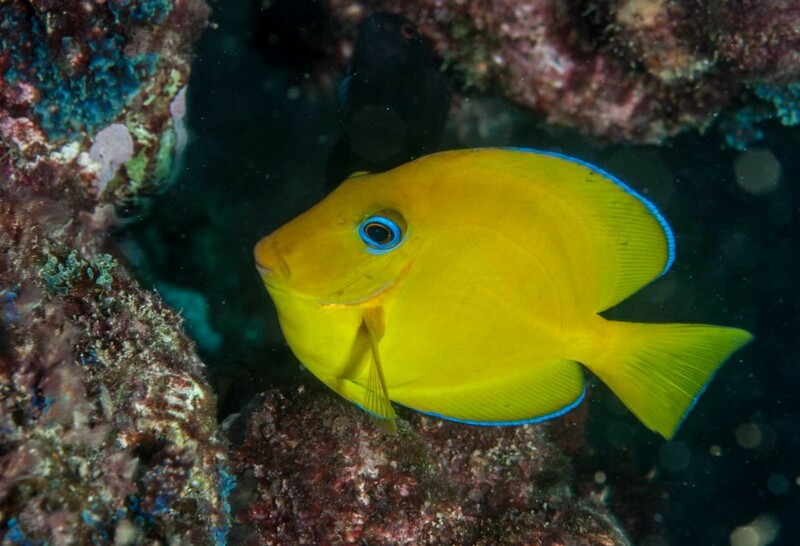 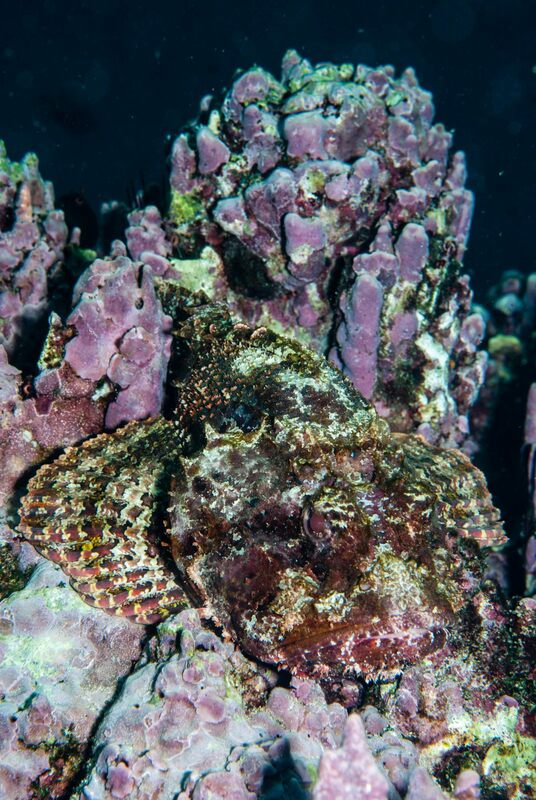 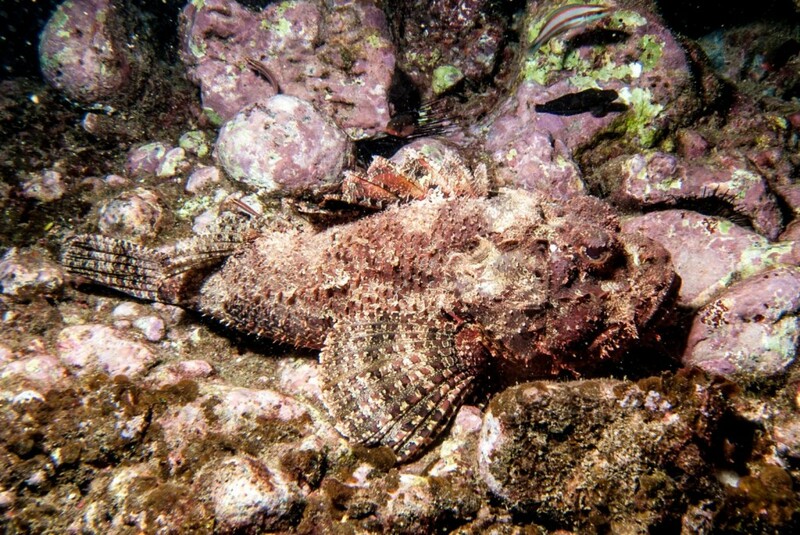 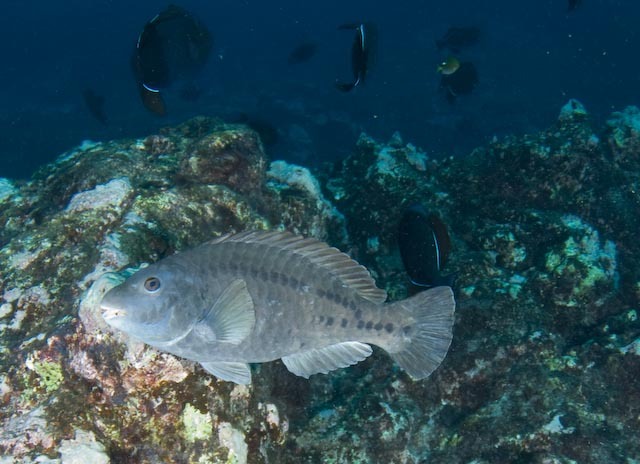 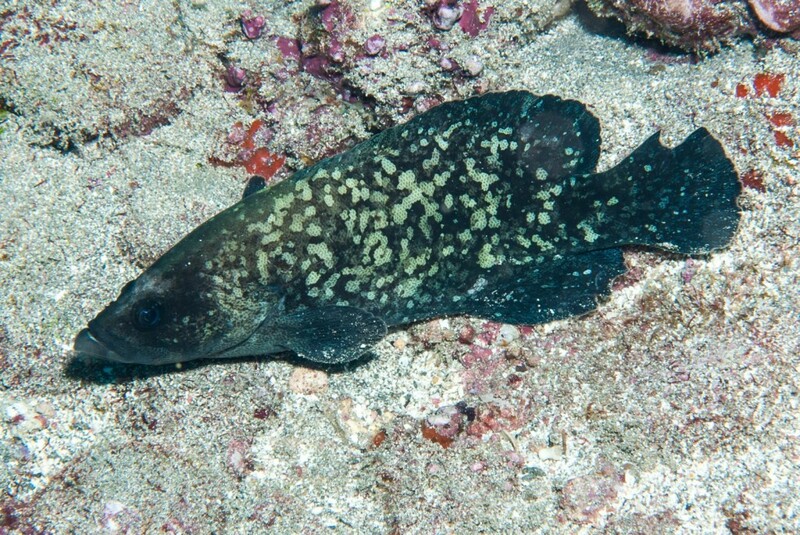 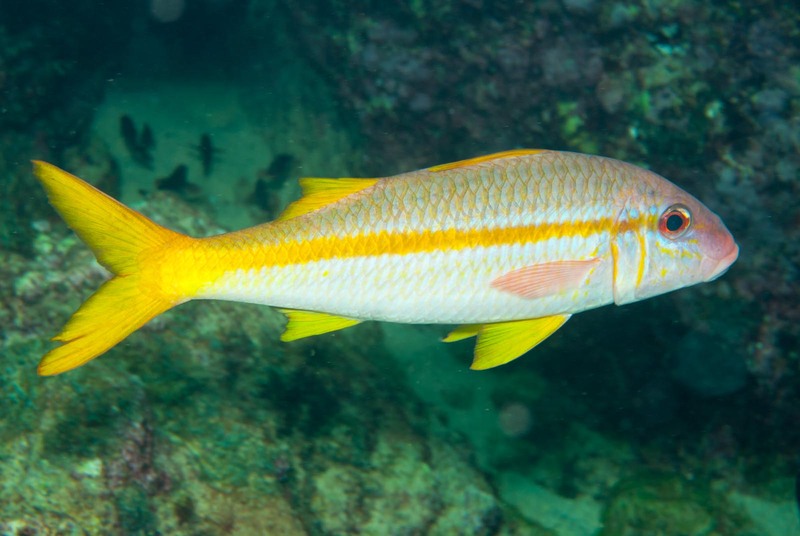 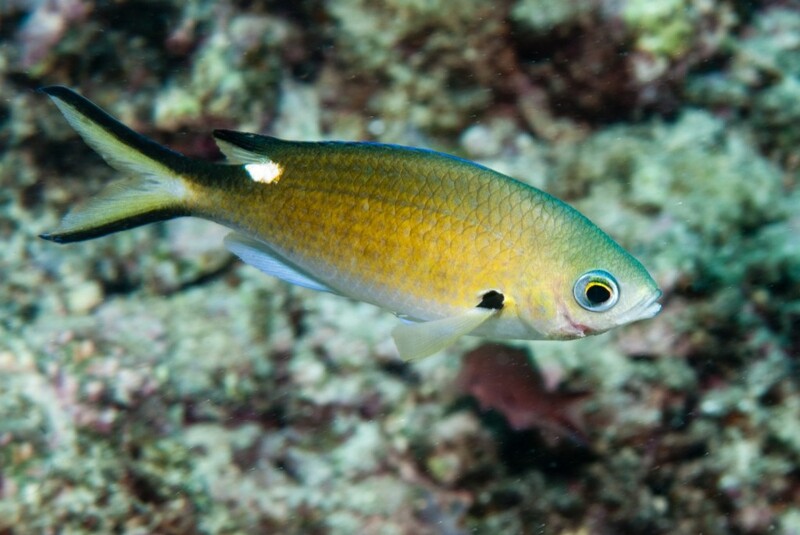 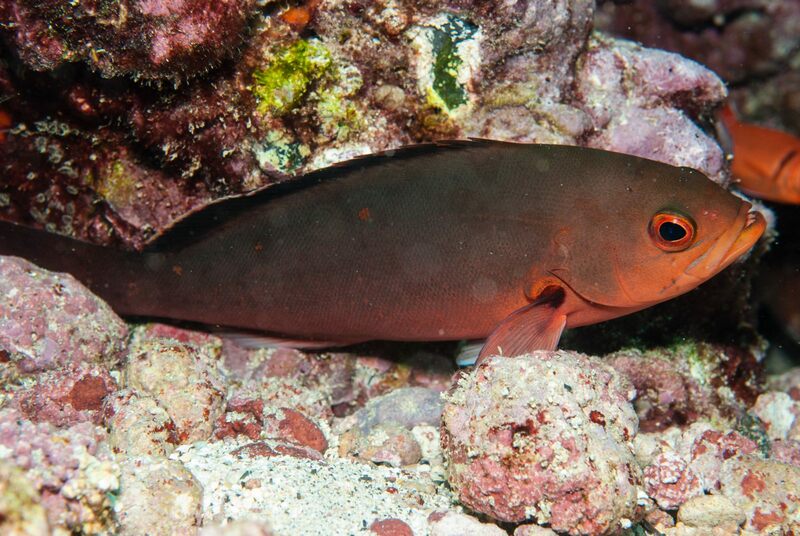 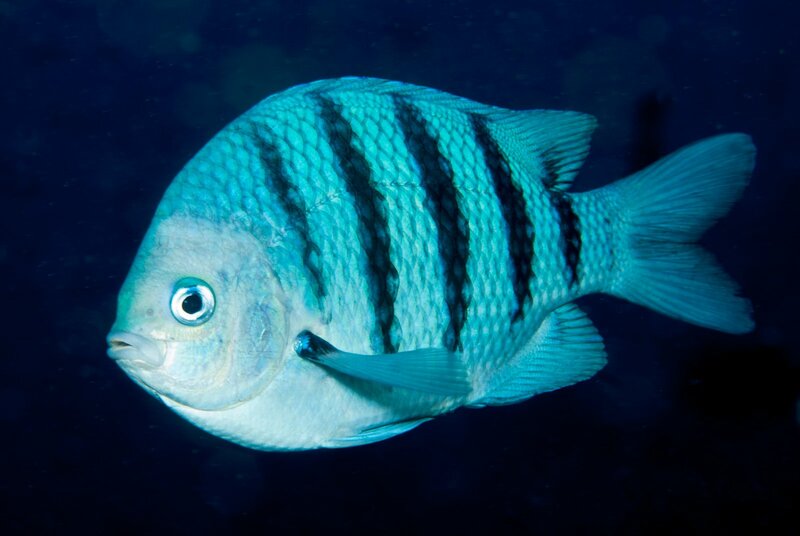 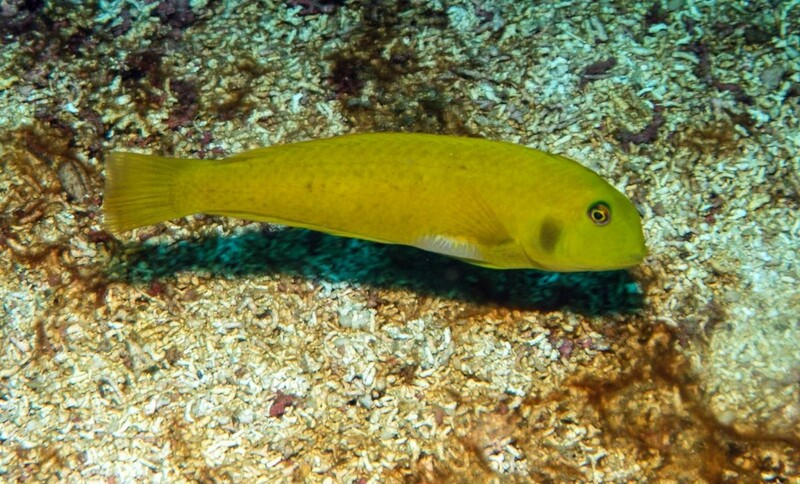 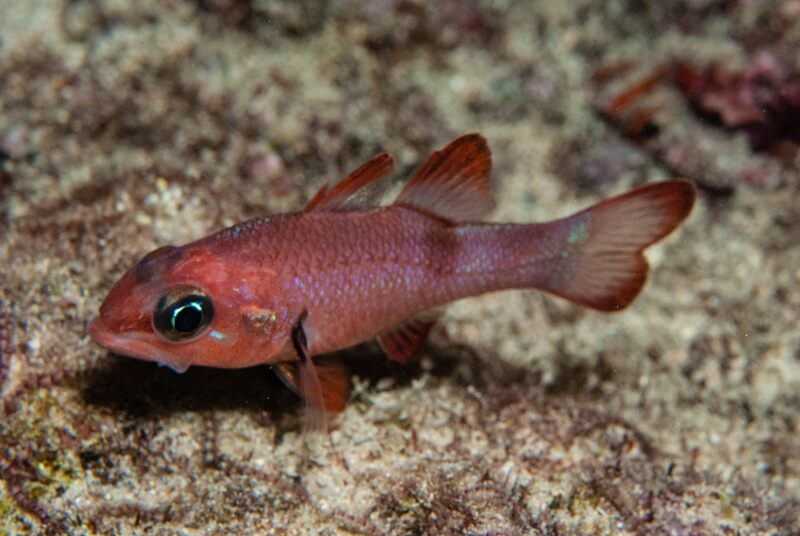 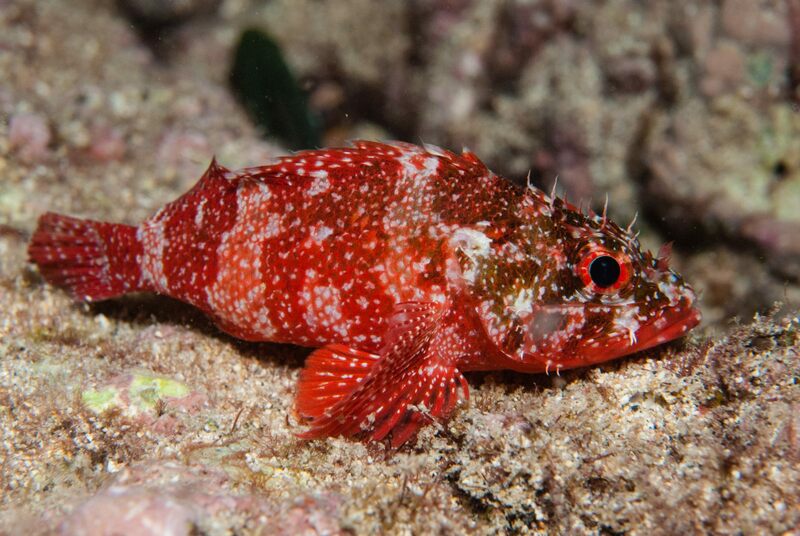 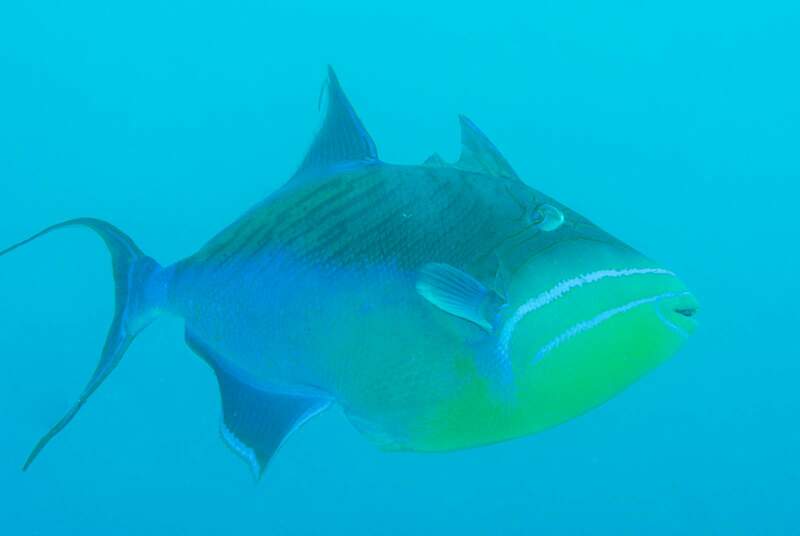 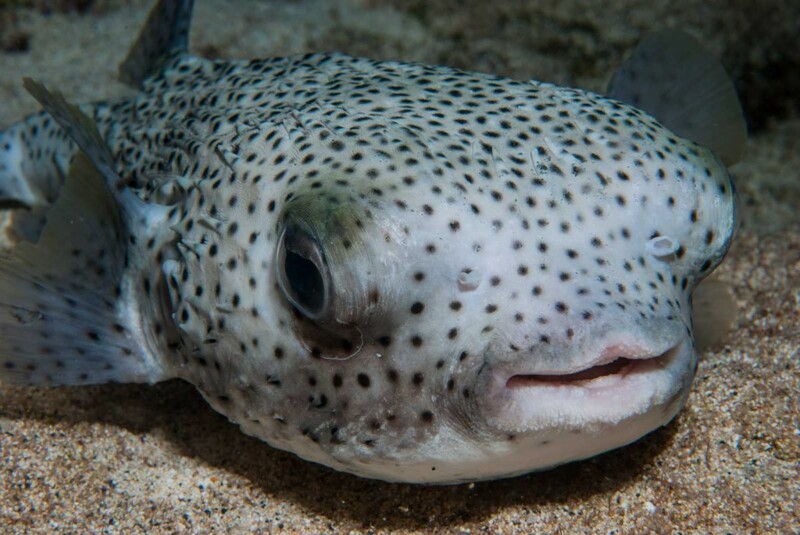 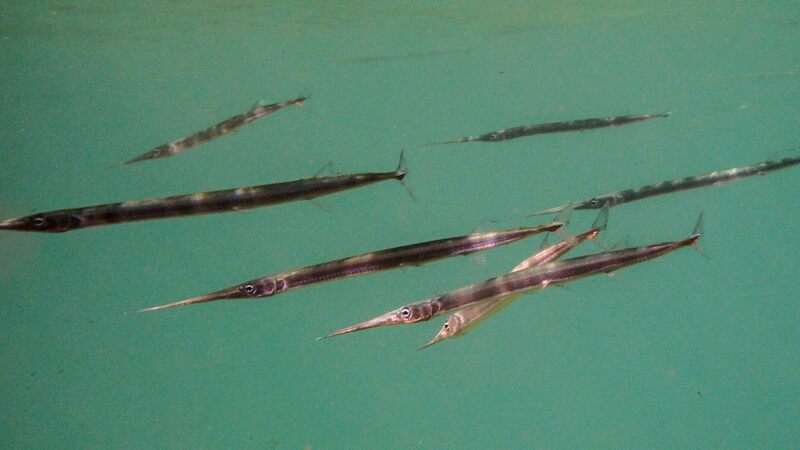 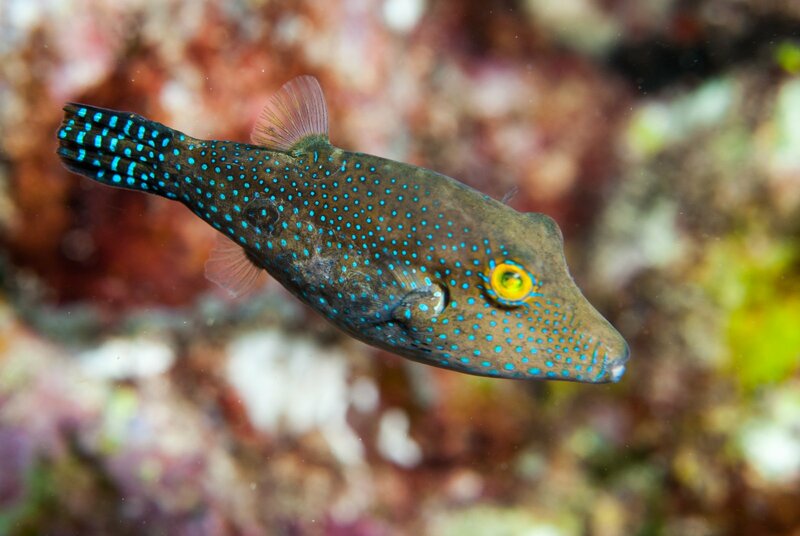 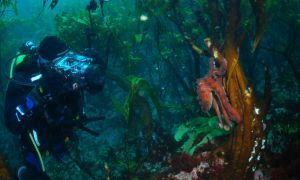 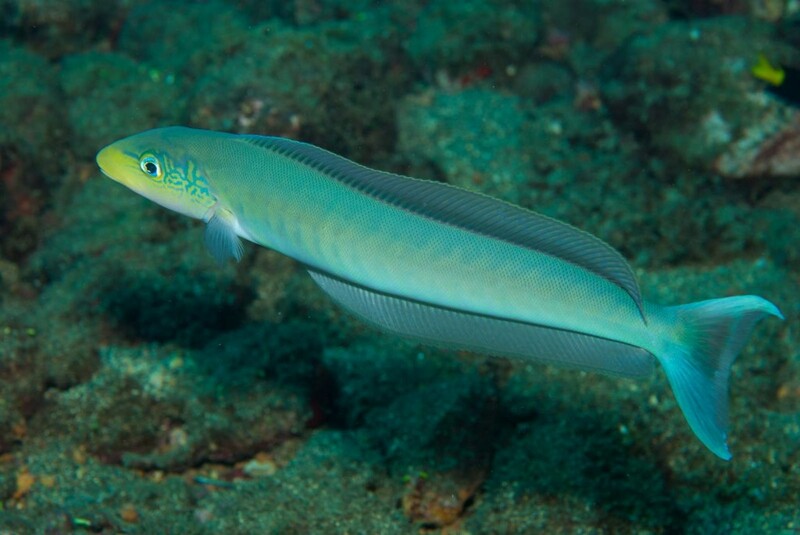 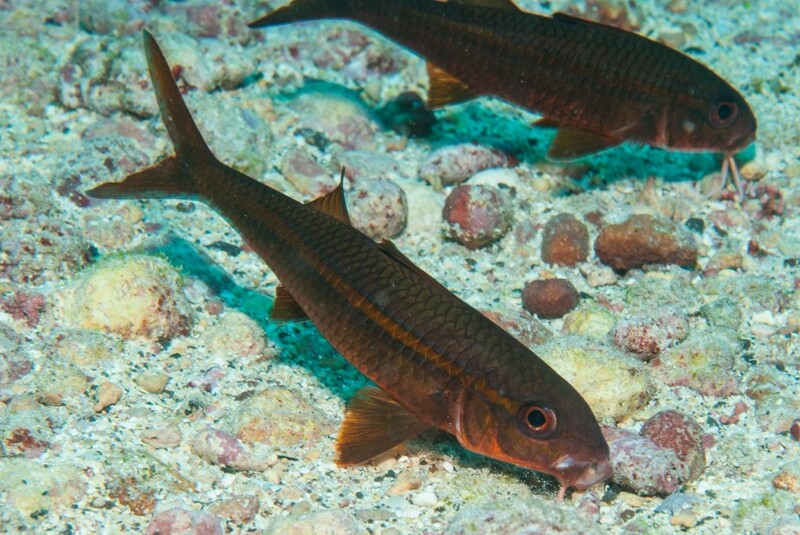 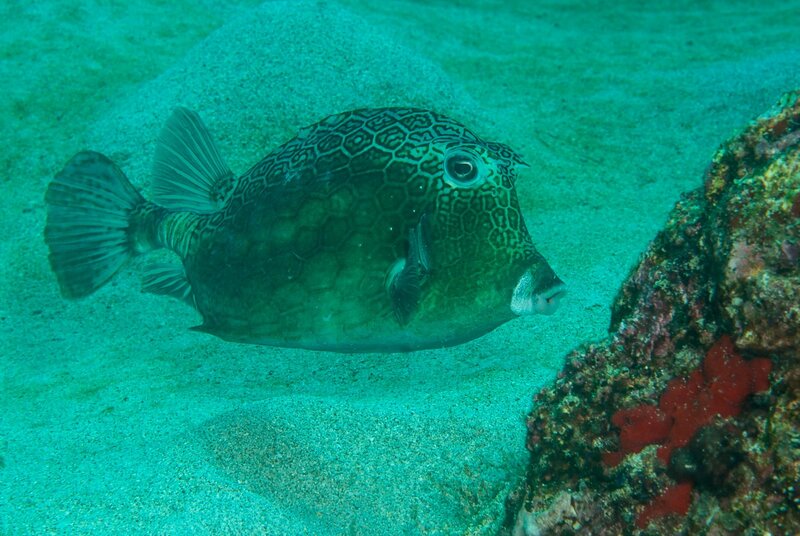 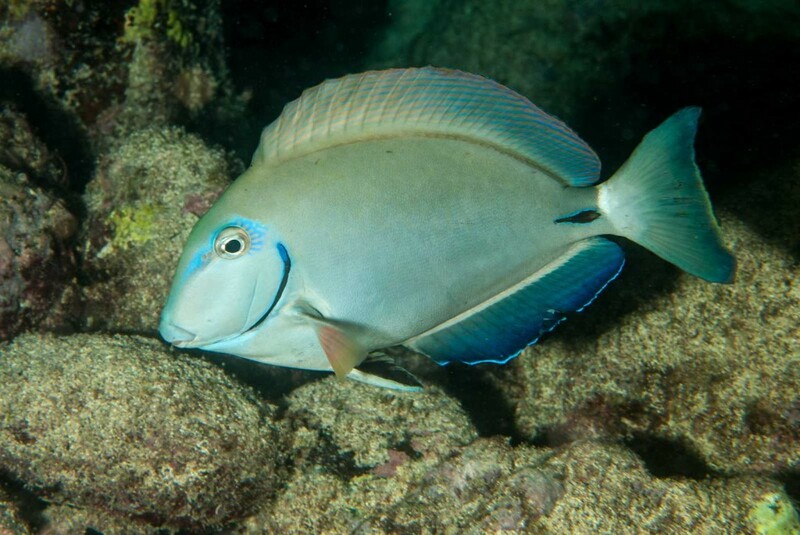 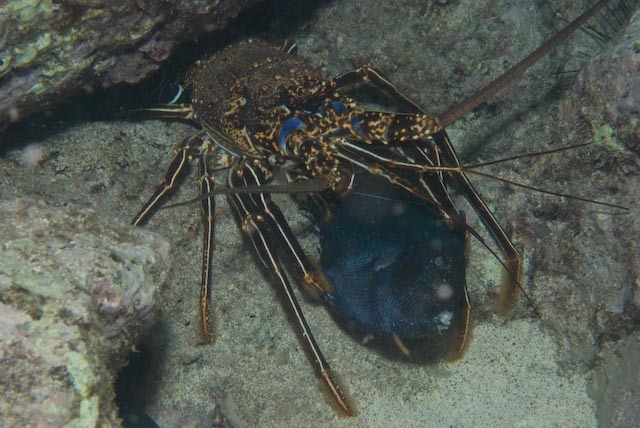 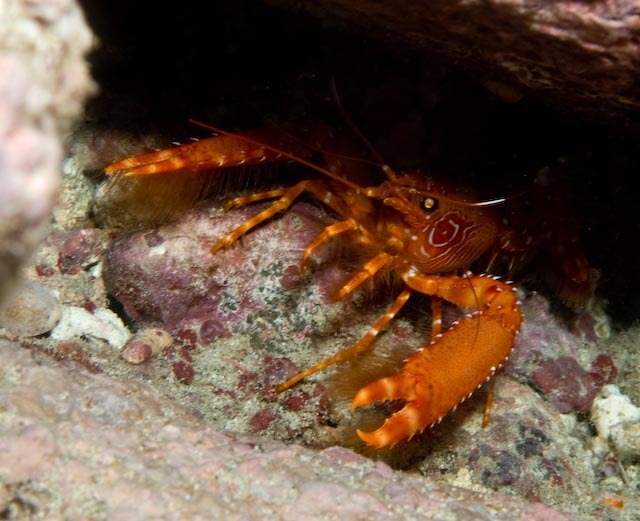 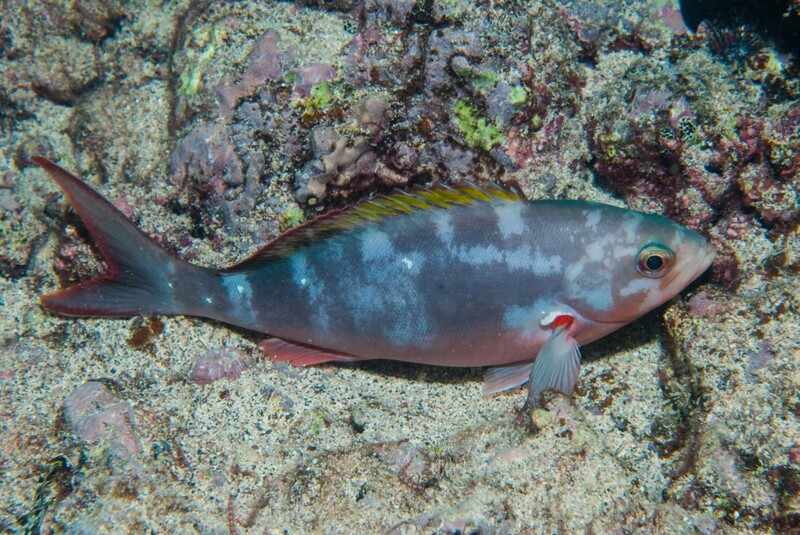 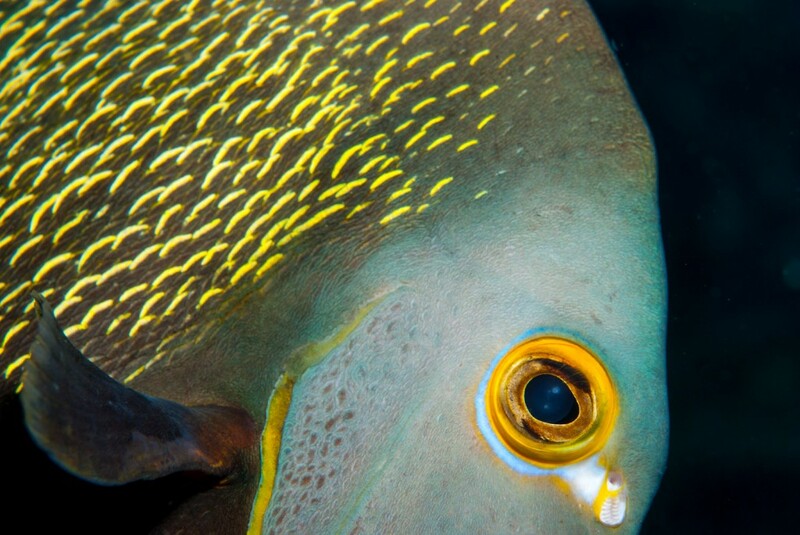 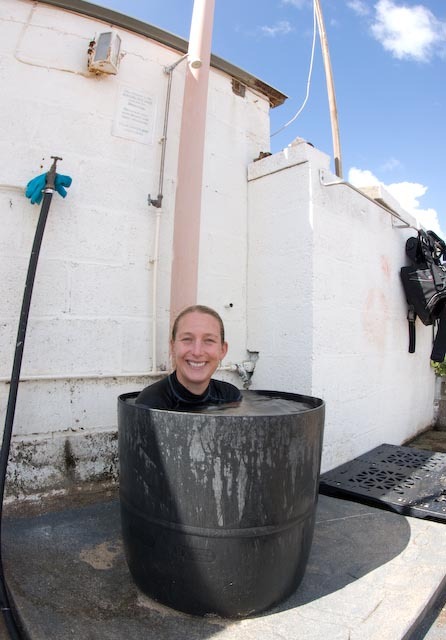 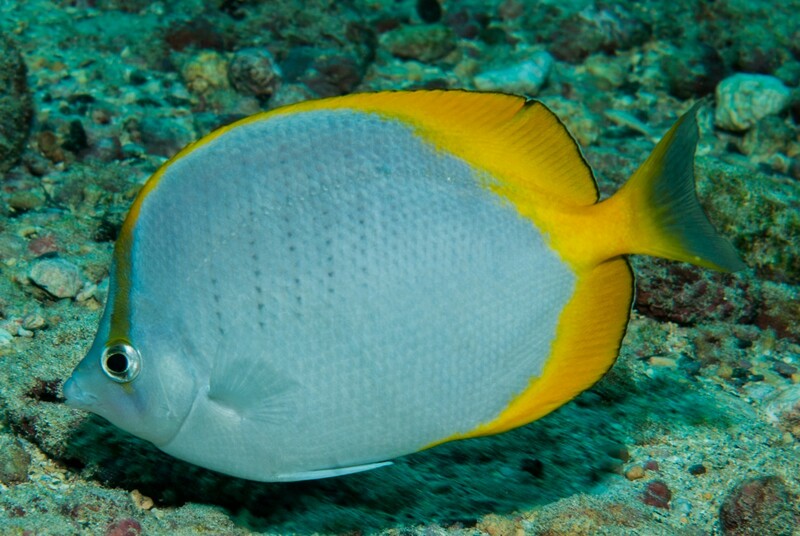 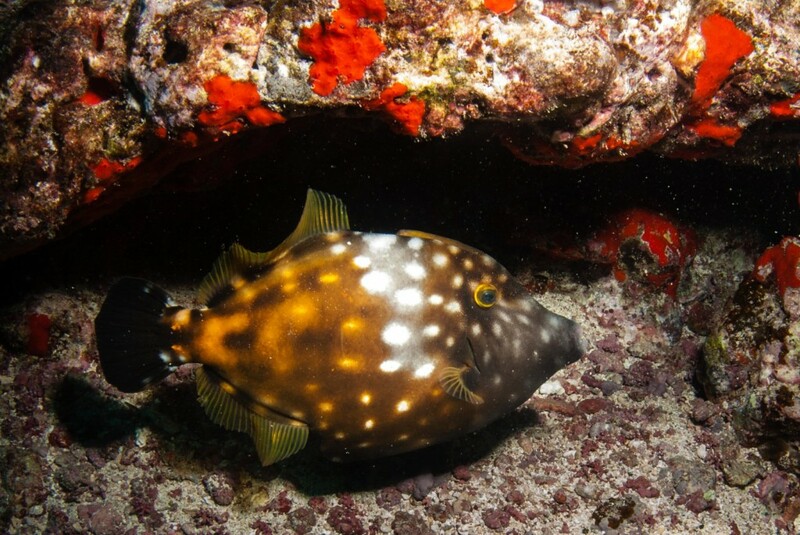 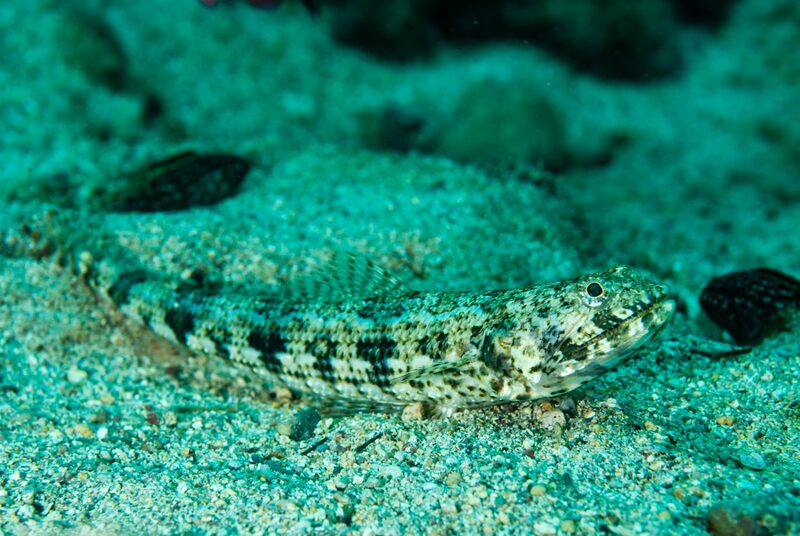 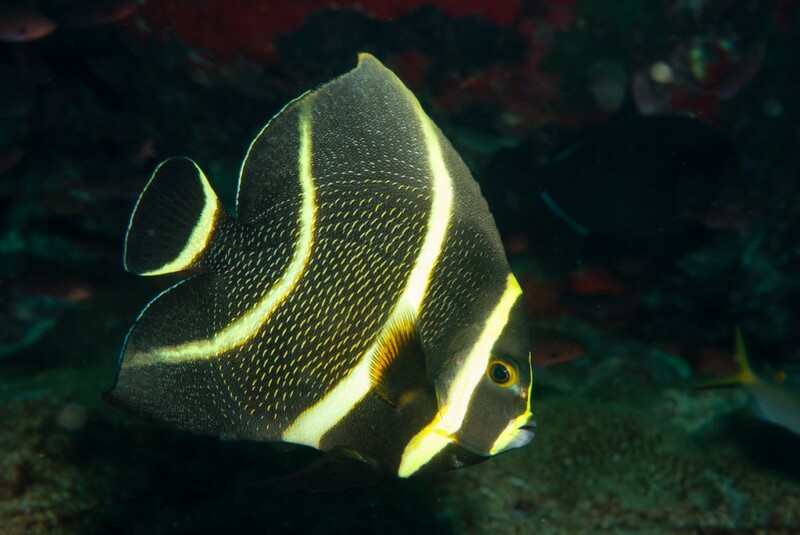 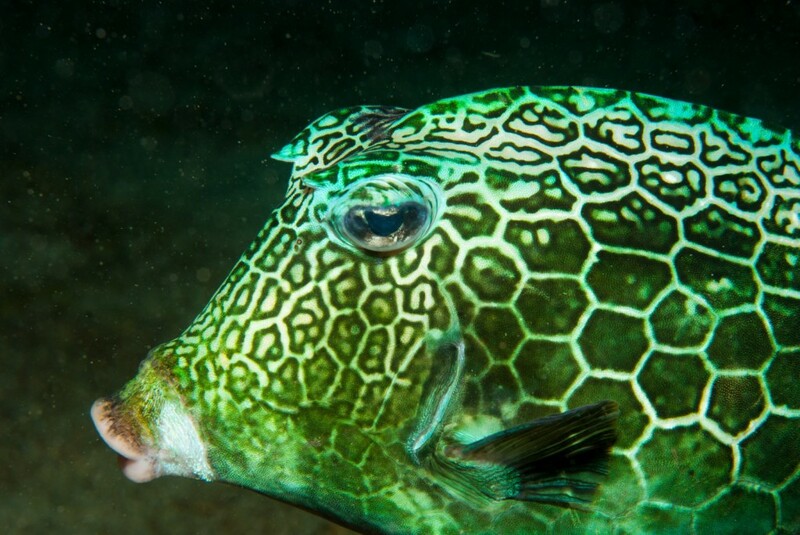 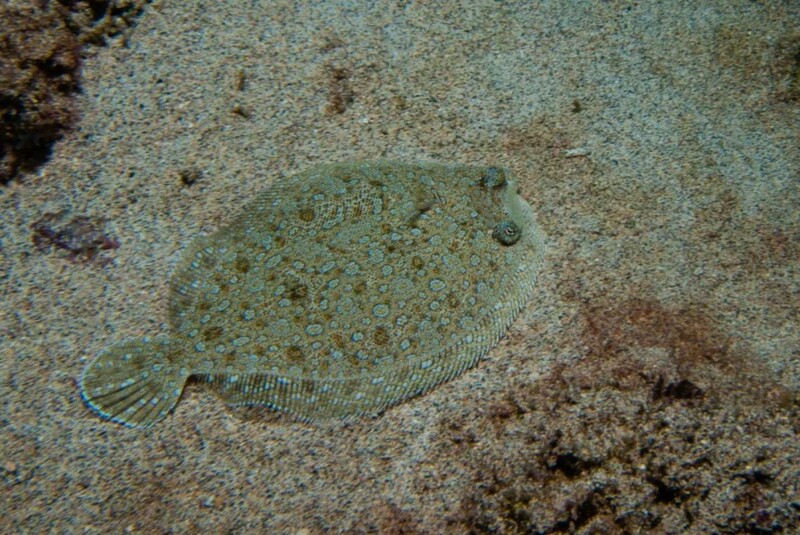 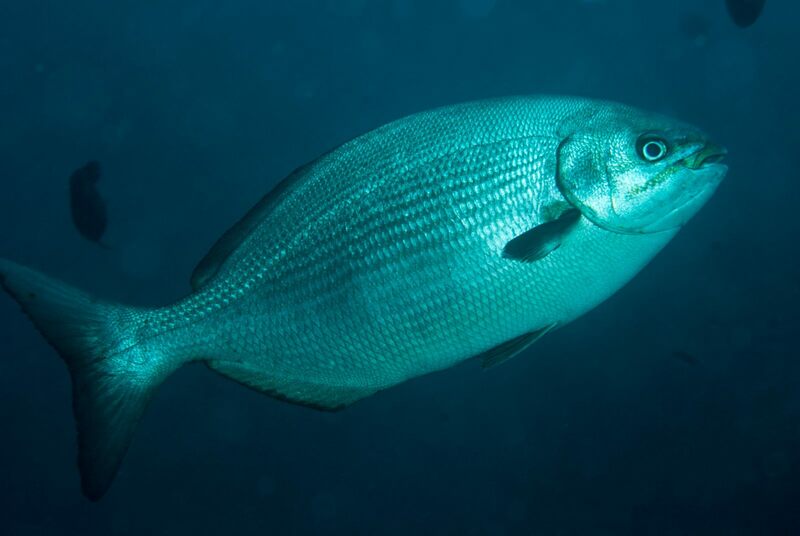 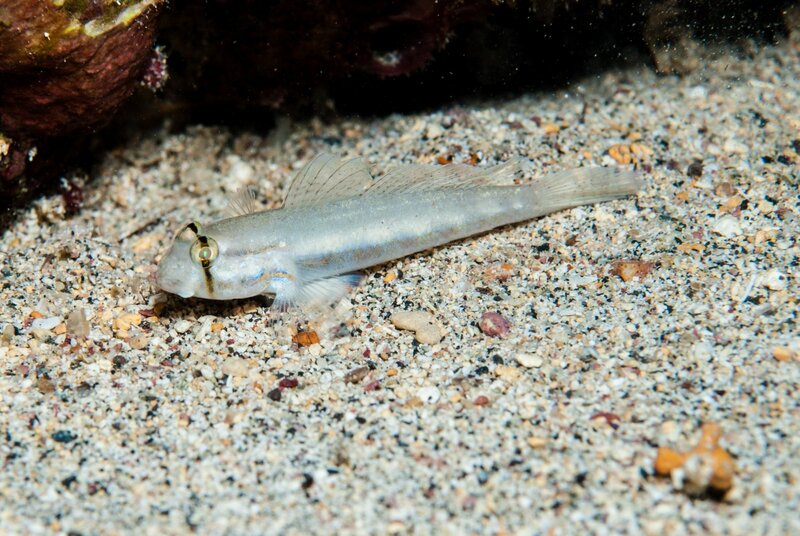 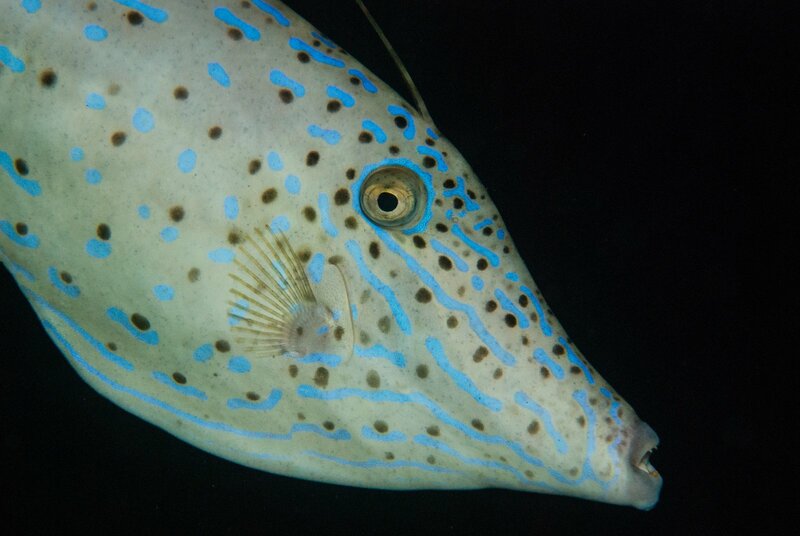 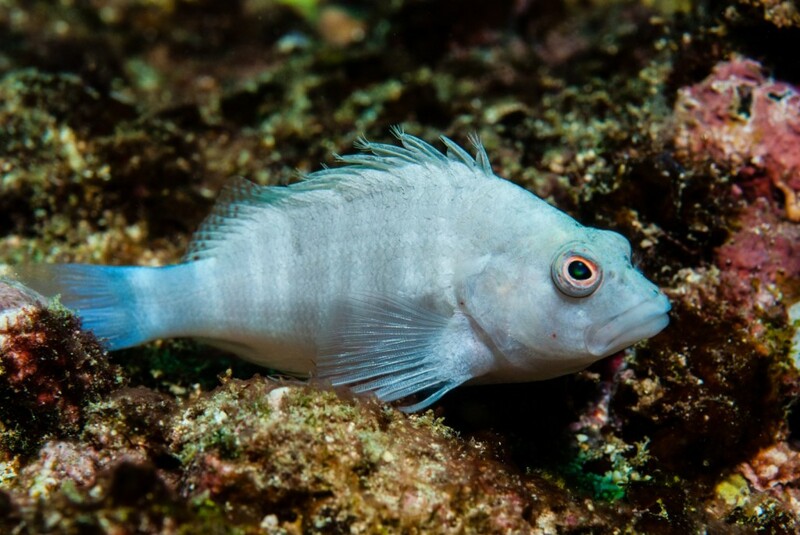 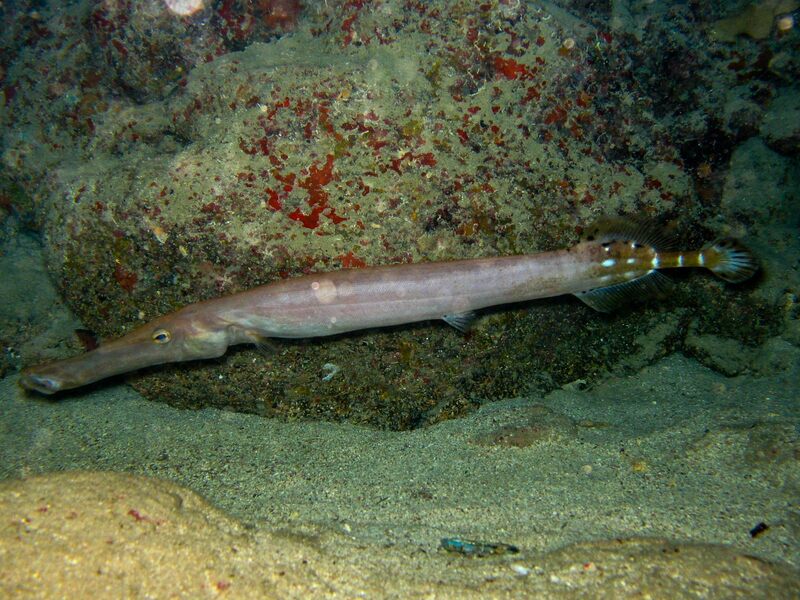 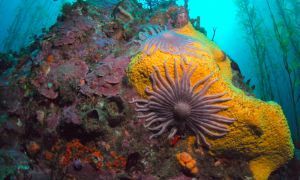 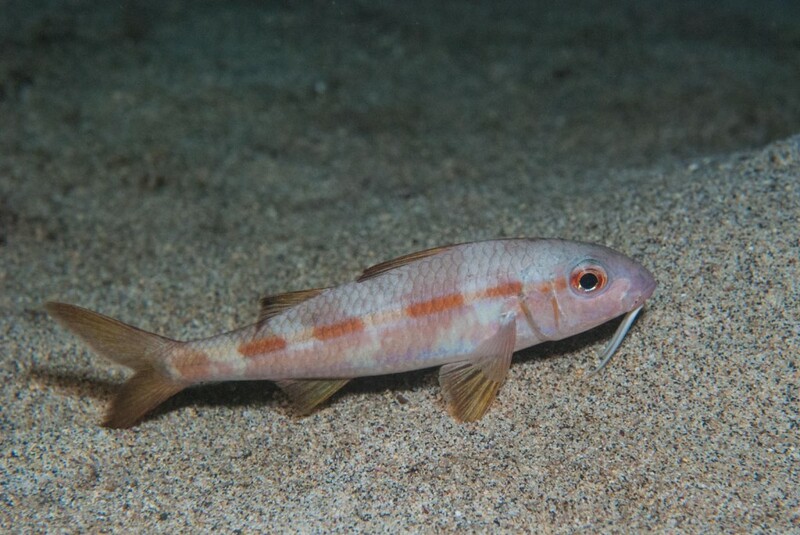 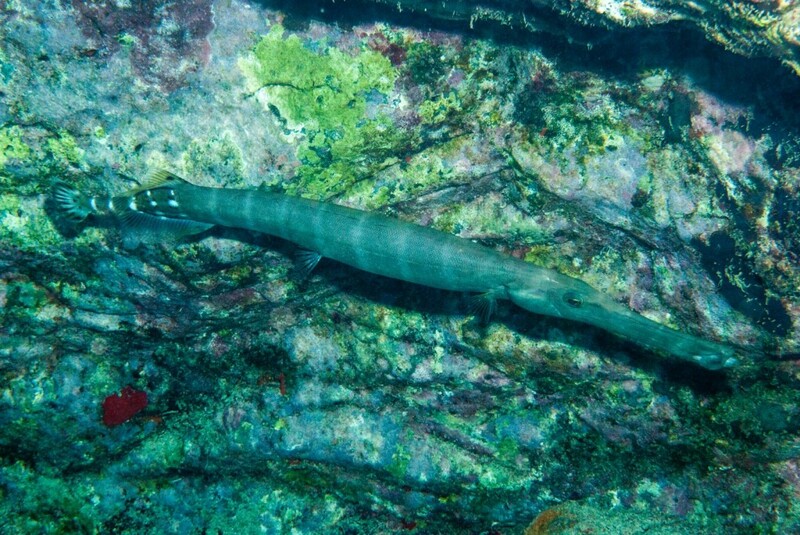 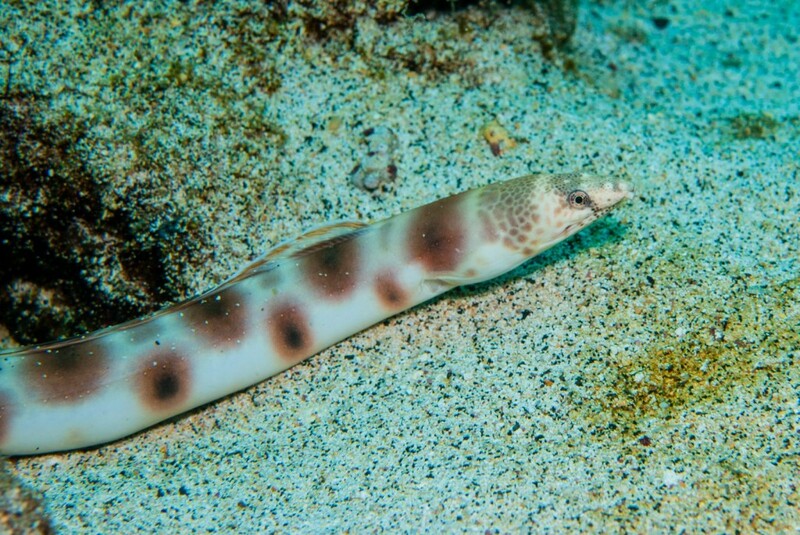 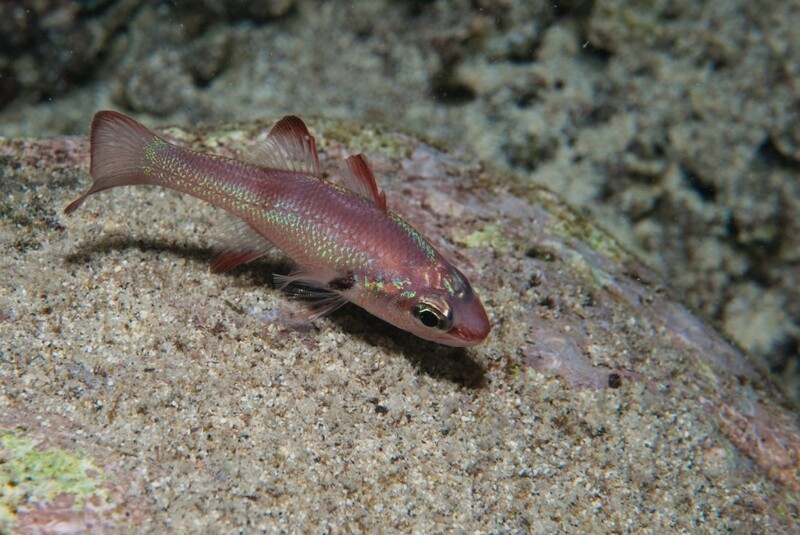 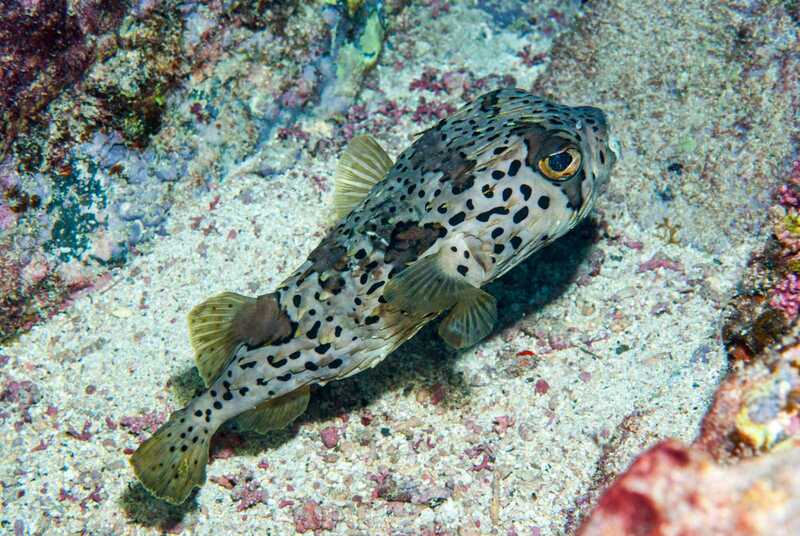 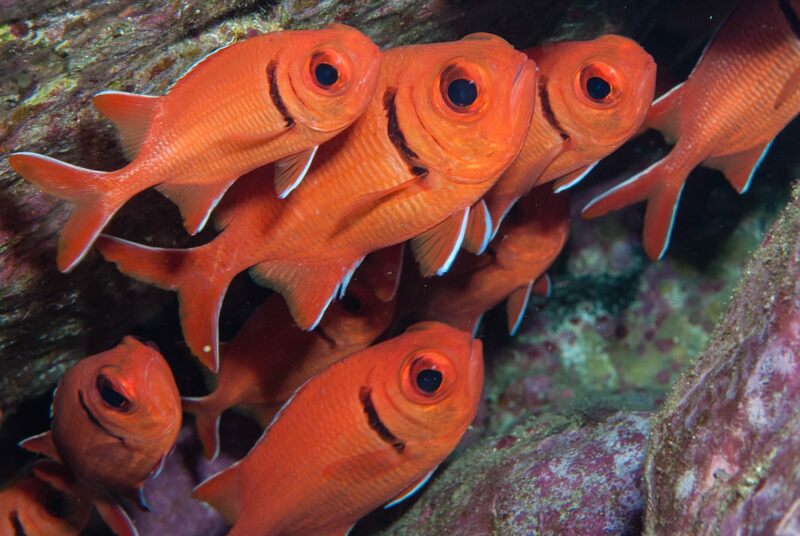 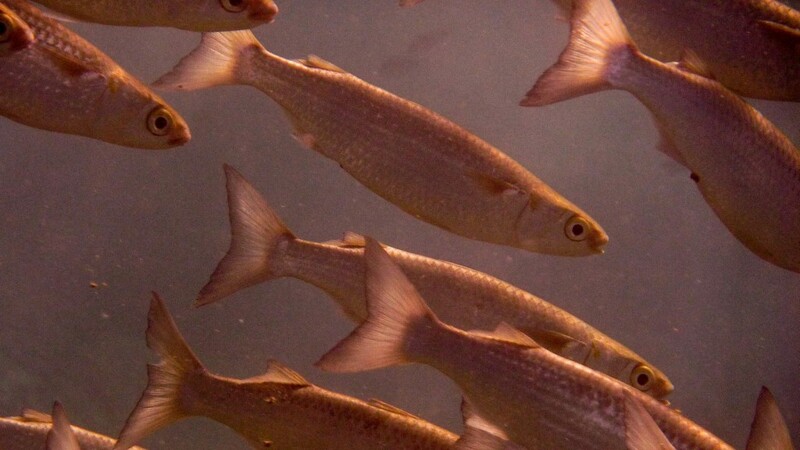 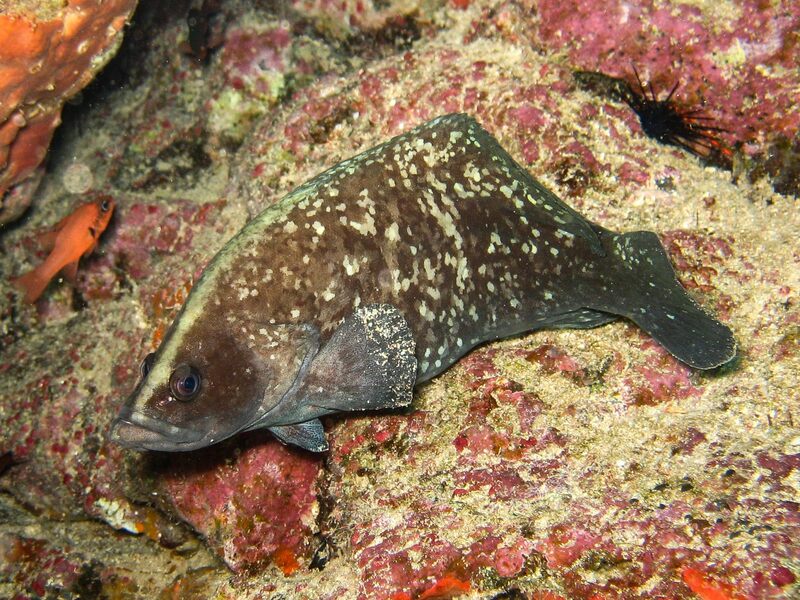 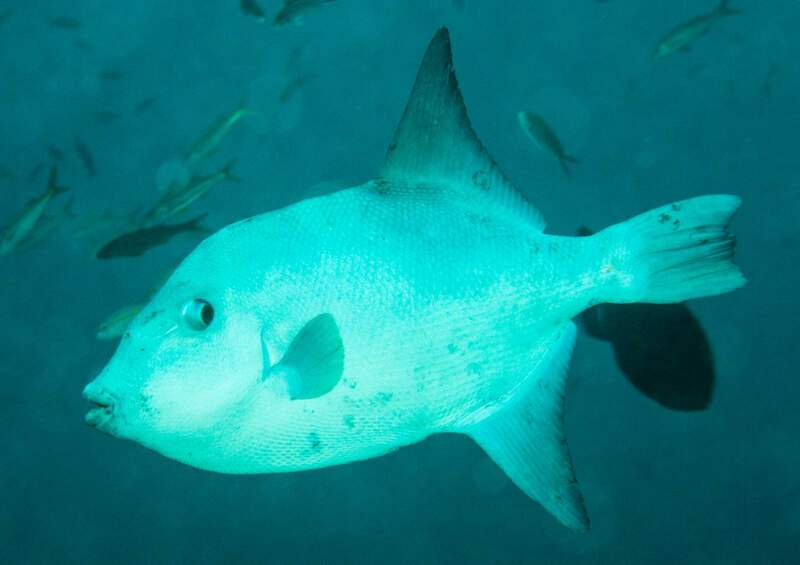 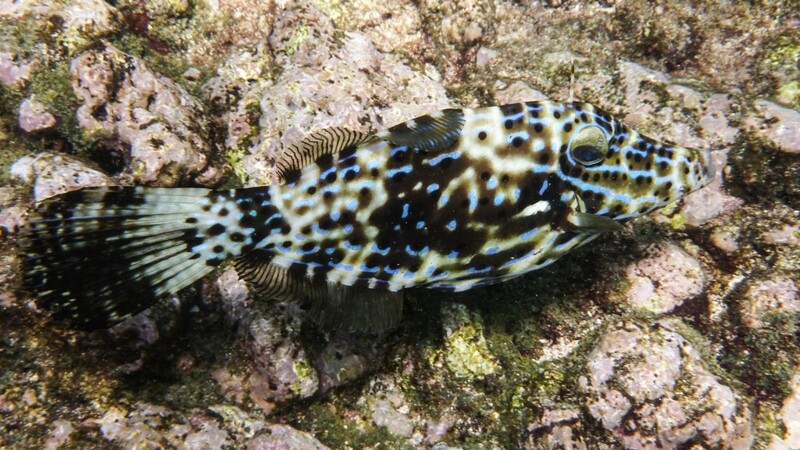 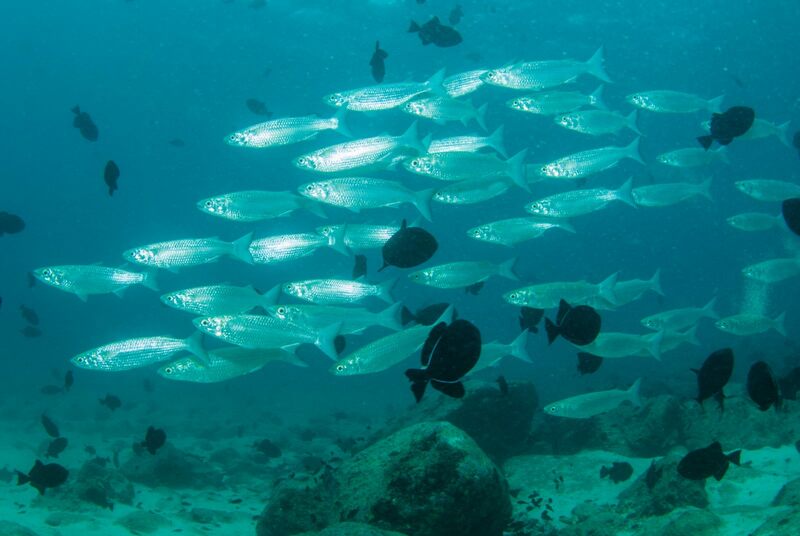 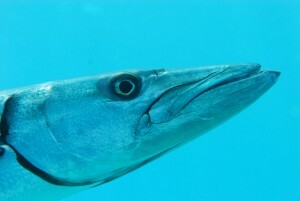 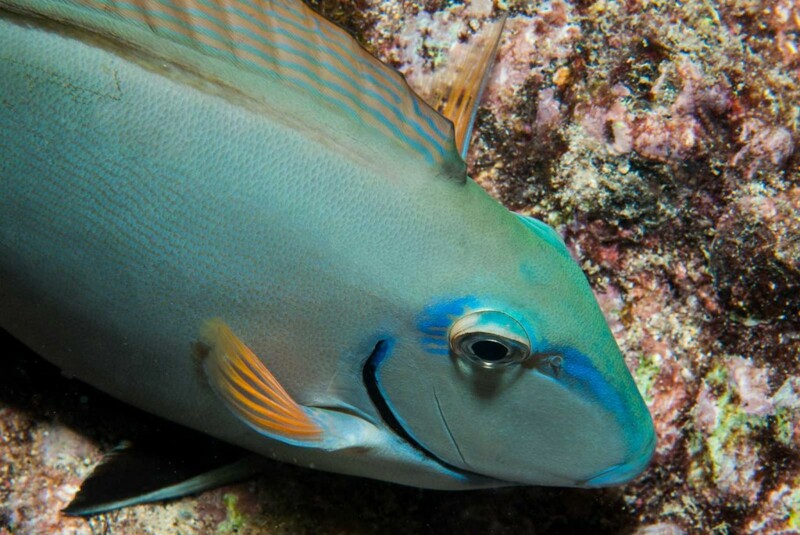 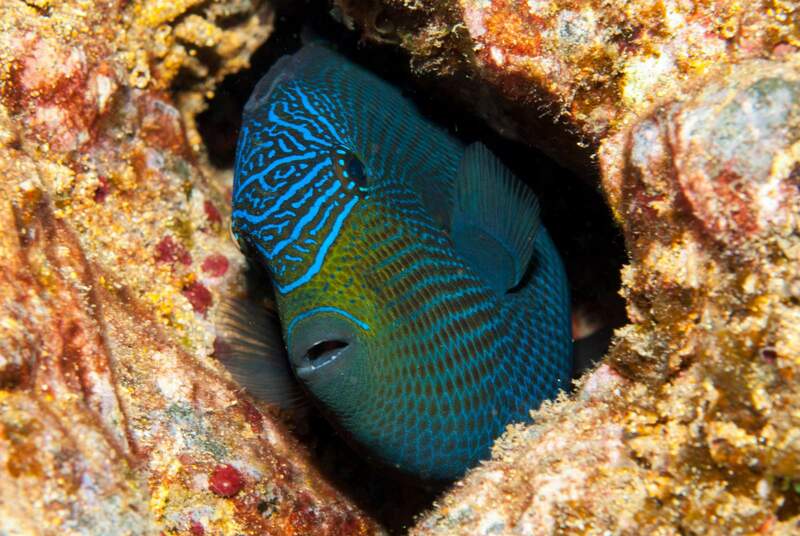 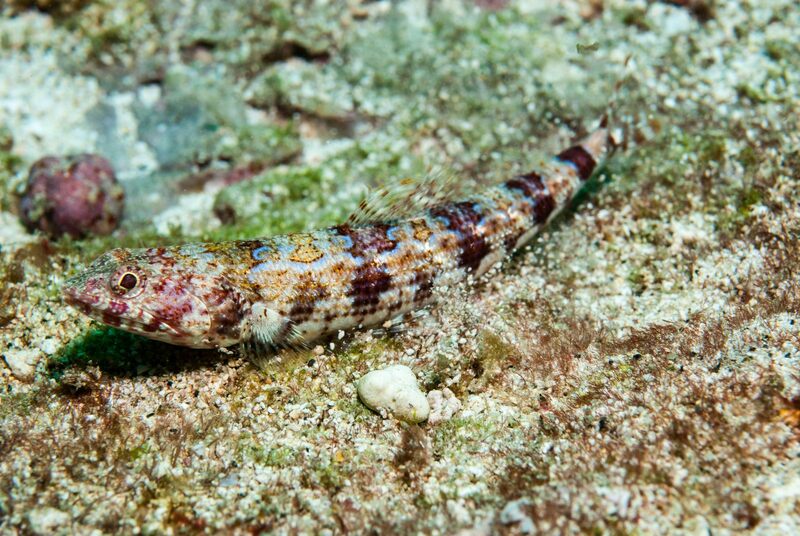 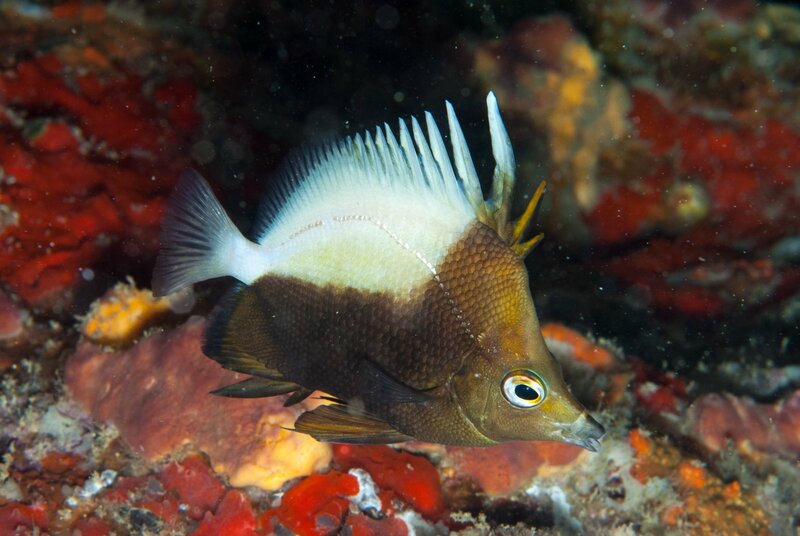 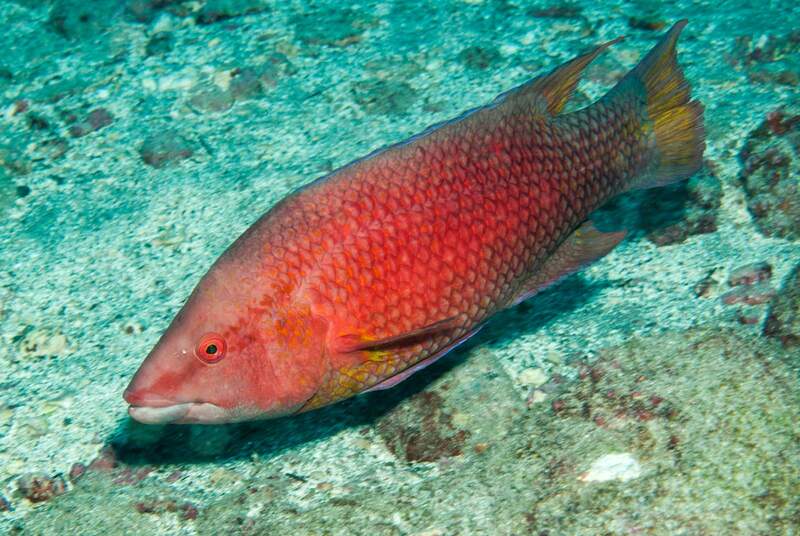 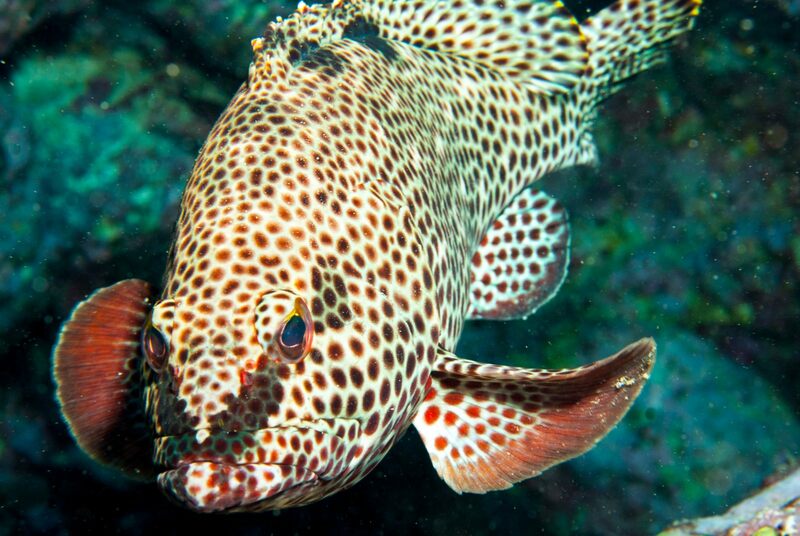 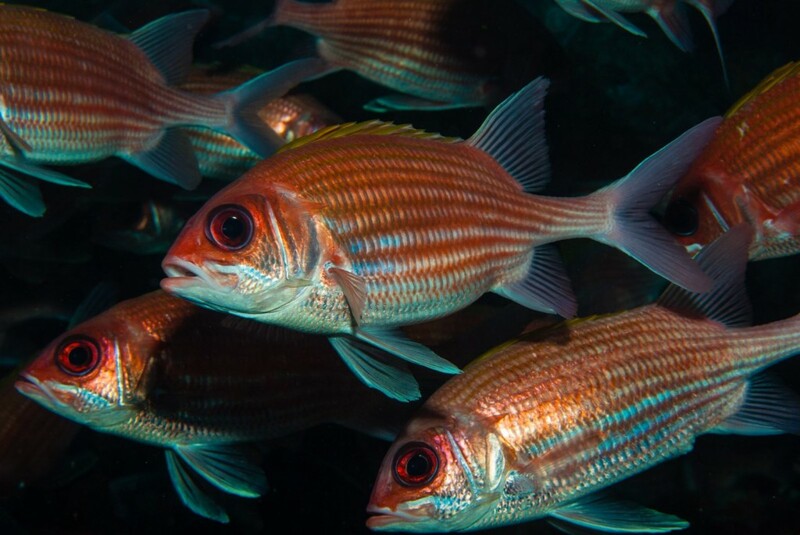 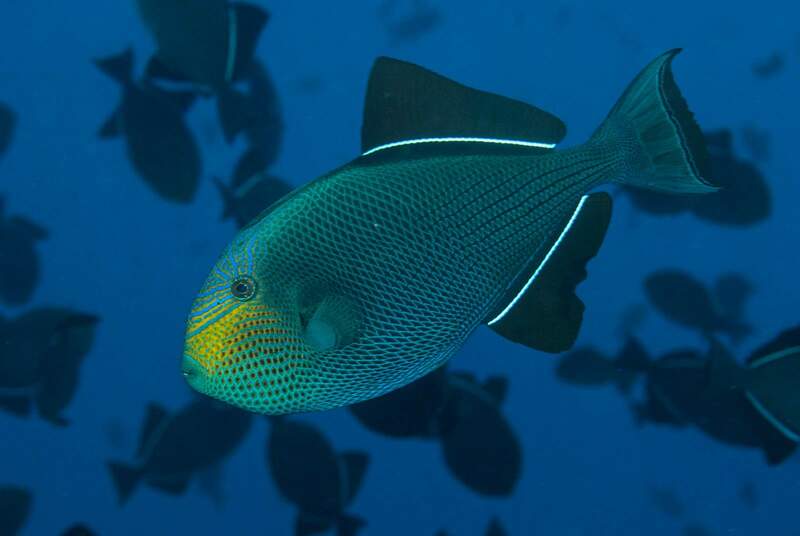 Around St. Helena, according to Dr Judith Brown, it is a very common species in shallow waters. 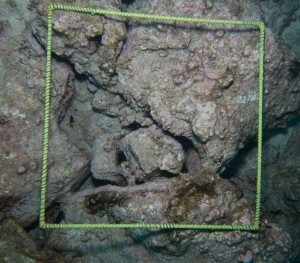 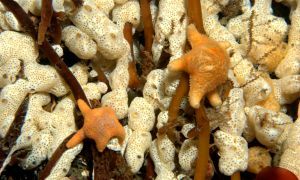 Occasionally it occurs in groups in rocky areas between 5 and 20 meters depth. 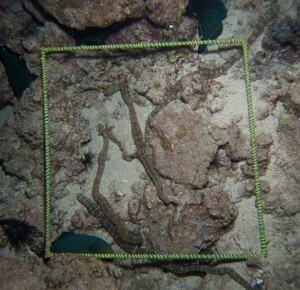 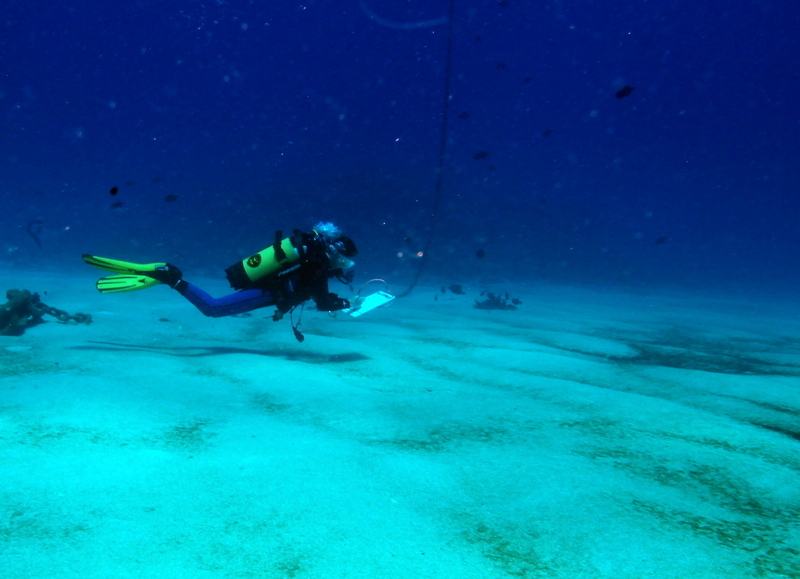 Juveniles might be distributed slightly deeper, amongst weed and rubble patches on sand at 15-18 m depth. 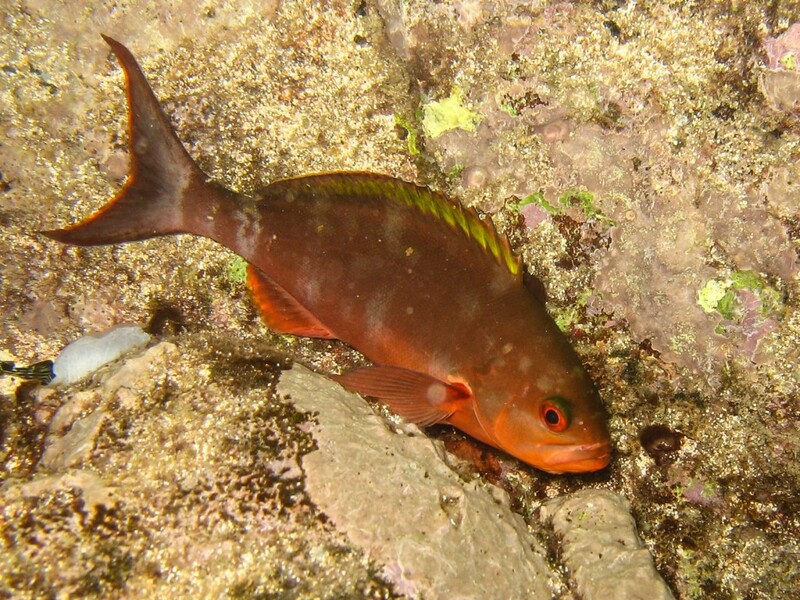 The species was known around Ascension Island and even pictured on local postage stamp. However, our previous expedition that covered most of shallow waters around this island did not find it. 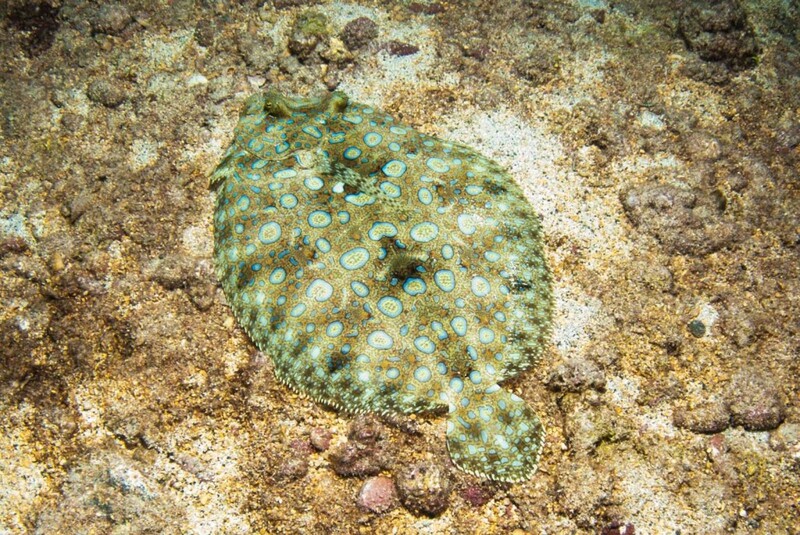 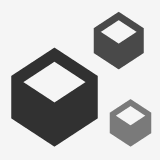 Why are its numbers so low that it is virtually unnoticeable? This SMSG/SAERI expedition of is looking to answer to this question. 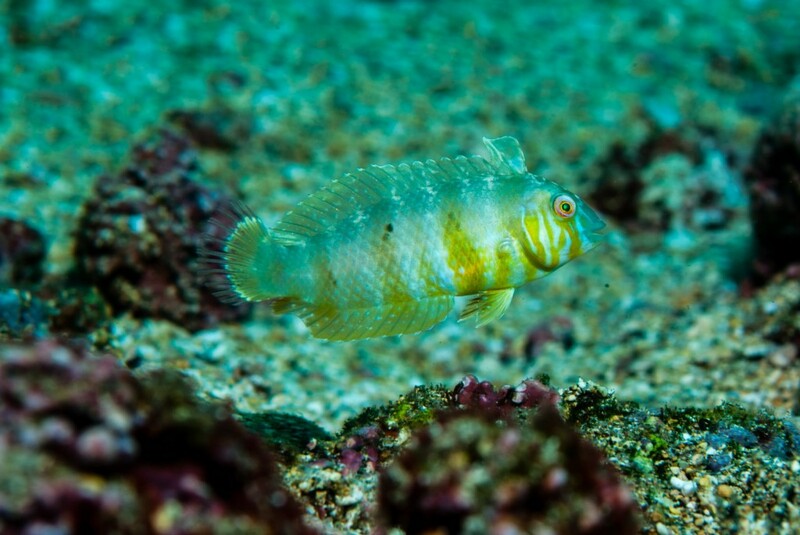 Eventually this mystery species was found, south of Catherine Point where a single specimen was seen and photographed by Steve Brown. It was found together with the white spotted filefish (Cantherhines macrocerus), also recorded on our last trip in August 2012. 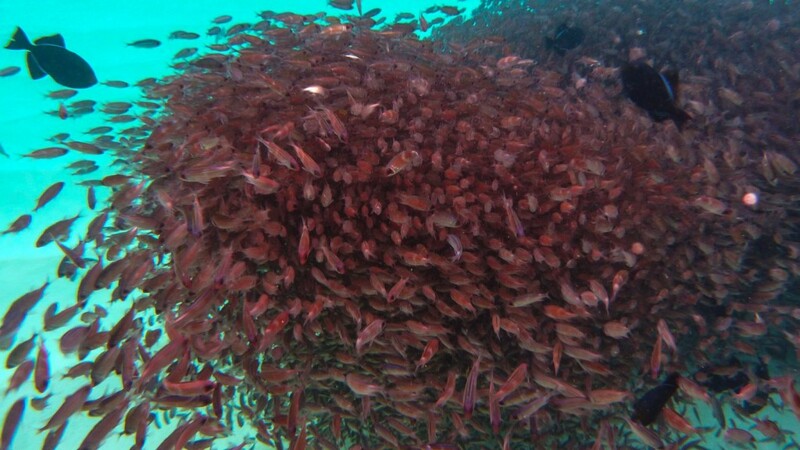 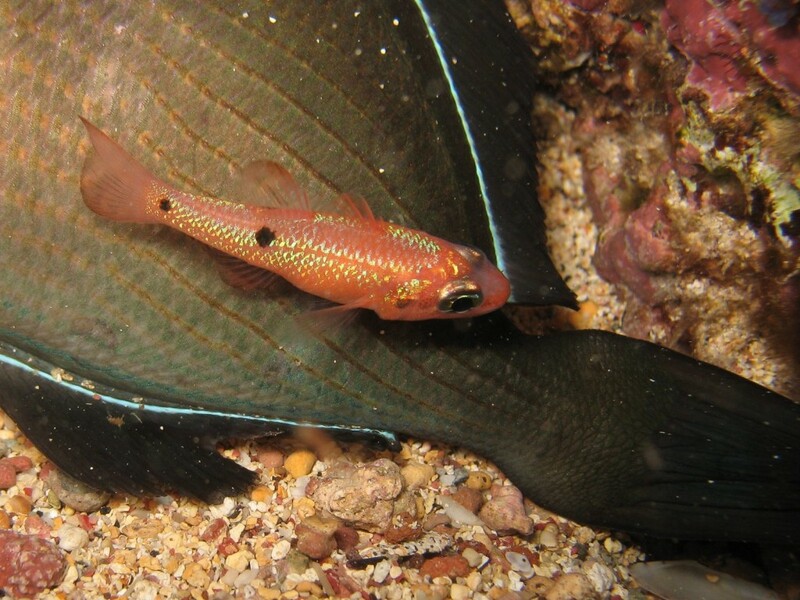 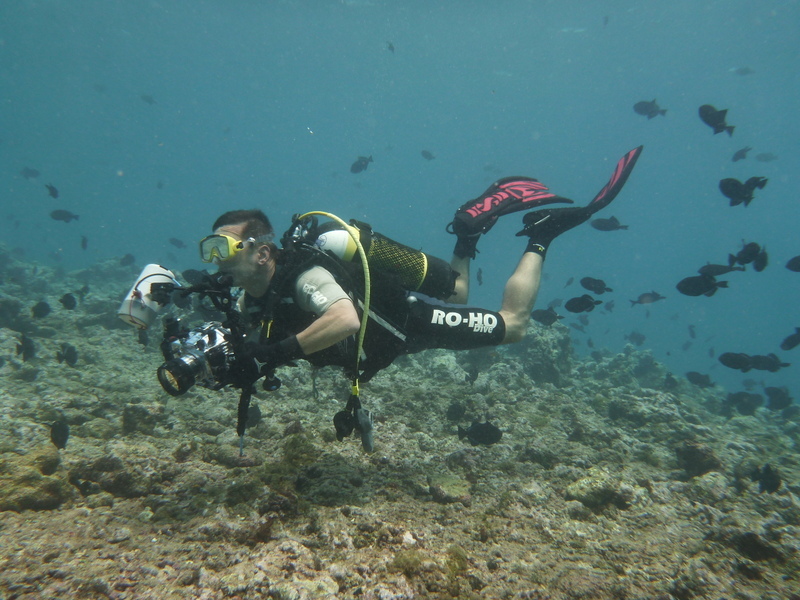 This was indeed quite an unusual site as it had a remarkable abundance of the endemic Ascension Island wrasse too.